An American Dilemma is a means to learn much about the present from reading about the past. This landmark study of Americas relationship with its African member show how far America has come as a country of freedom, and it is"[o]ne of the best political commentaries on American life that has ever been written" (The American Political Science Review). 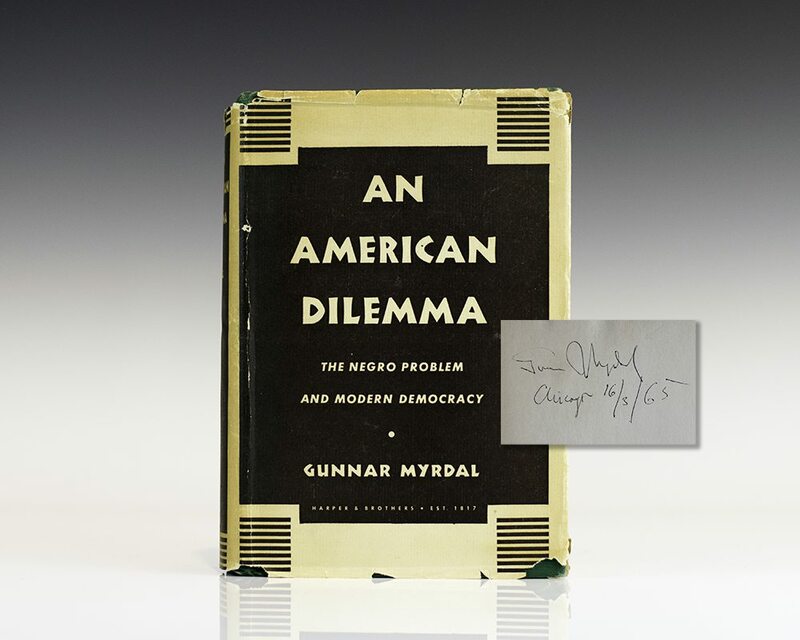 Myrdal shared the Nobel Memorial Prize in Economics with Friedrich Hayek in 1974, for their "pioneering work in the theory of money and economic fluctuations and for their penetrating analysis of the interdependence of economic, social and institutional phenomena."